Released on Pink or Clear Vinyl and digital from 24/11/2017. Leggy’s 2016 14 track compilation ‘Leggy’ was initially released on CD with zero mastering so they had something to sell on their month long tour with Shonen Knife/Otoboke Beaver. This has now been remastered from the original studio recordings by Matthew Barnhart of the Chicago Mastering Service. All others were produced by John Hoffman & Jerri Queen in 2014. 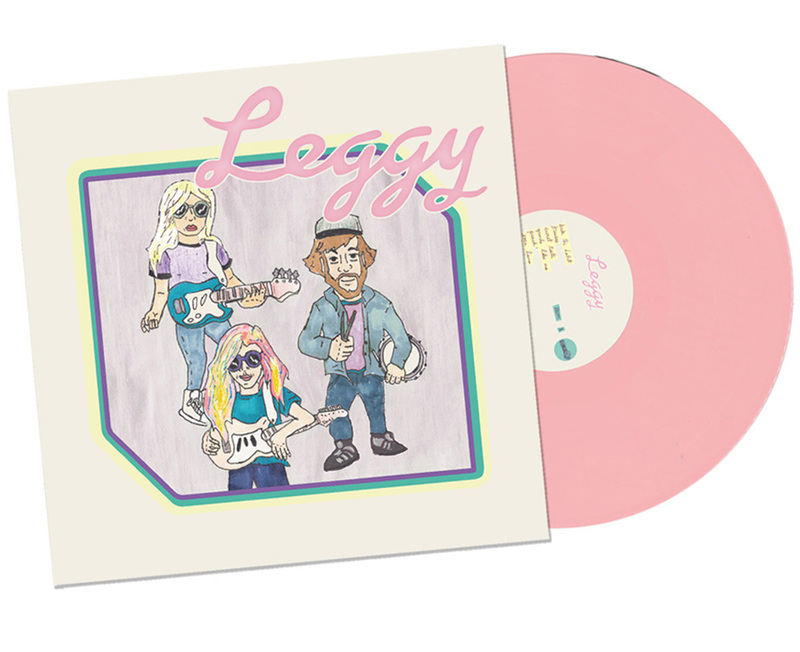 Hailing from the heartland of America, Ohio’s Leggy is a blonde-heavy dream punk trio exploding with empowered earnestness, an undeniably catchy pop sensibility and that ever timeless grrrl in-and-out of love allure. With influences drawn from contemporary artists like Lana Del Rey & St. Vincent, as well as 90’s jammers like The Breeders and Hole, Leggy produce a unique style of music that equal parts dark pop and shimmery punk. Leggy began after singer-guitarist Veronique Allaer took a hip-breaking tumble off a fire escape days after graduating from college. Priorities drastically rearranged, she ditched the plans for grad school and instead moved into a house with her two best friends and music lovers, Kerstin Bladh and Christopher Campbell. The three began crafting raucous yet infectious garage pop led by Bladh’s fuzzed out and slinky bass lines, fortified with Campbell’s heavy-hitting yet tight drum beats, and sweetened with Allaer’s saccharine vocals. 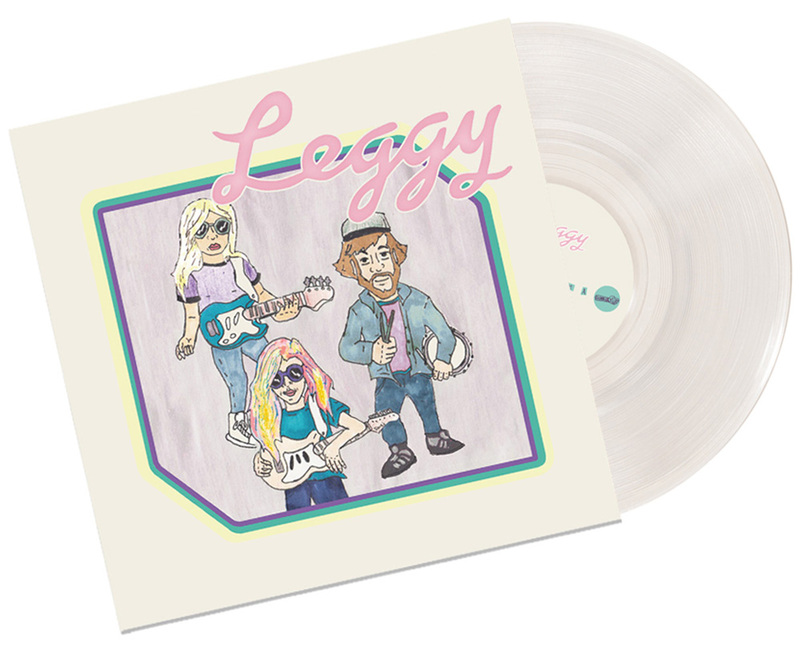 After releasing three eps in under two years supported by incessant touring, Leggy have gained a national following in the States and have enjoyed significant airplay from college radio and attention from blogs. Leggy have played over a dozen festivals and have toured/shared the stage with (among many others) Bully, EMA, Ex Hex, Screaming Females, Sad13, Wildhoney, The Spook School, T-Rextasy, Stef Chura, Colleen Green, Chastity Belt and Tweens.